Open House this Sunday, 4-28 from 11am to 1pm!! Turn key cottage w/ amazing Honeoye Lake views. This cozy year round home is nestled in a friendly community that features a beautiful park w/ a beach & playground. Deeded shared lake rights are only a few steps away from your front door. Enjoy the fantastic views from the brand new deck. Dock space is owned by the current owners & is to transfer w/ the sale. There are no building lots between this cottage & the lake. This ranch style home has 2 spacious bedrooms w/ built-ins & a closet. The kitchen is open to the living room w/ a slider to the deck. 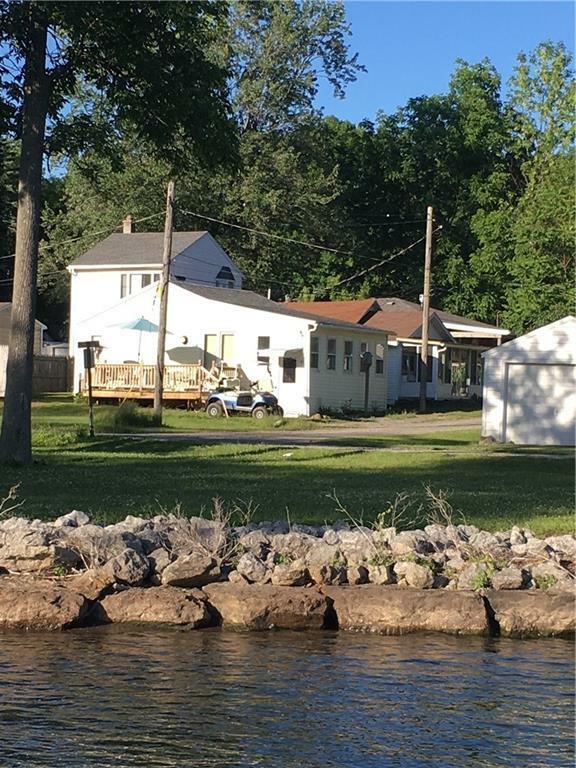 Enclosed front porch offers views of the lake & extra living space. Beautifully finished hardwood floors throughout. The bathroom has been renovated w/ new tile flooring. Spray foam insulation has been added under the entire home. Partially fenced yard offers great privacy. Additional storage space in the attic. All furnishing are to transfer. Low taxes, town water & sewer.